For 3 days in September, the world’s leading conference on sustainable health care is held in Malmö. The main host of the event is Health Care Without Harm Europe in cooperation with Region Skåne, The TEM Foundation and Sustainable Business Hub. 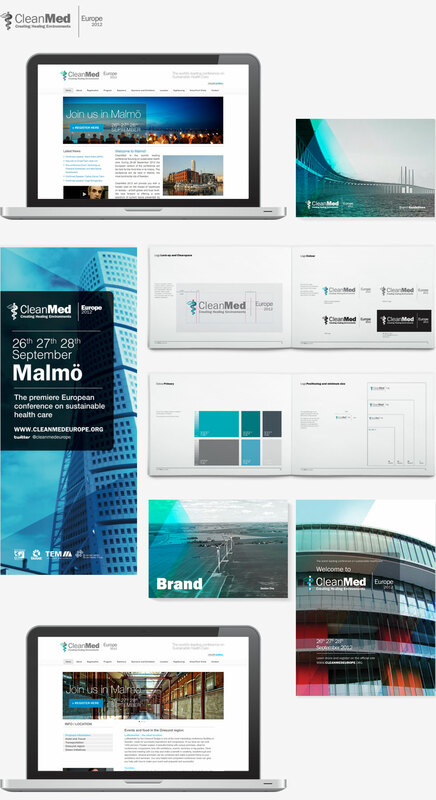 The CleanMed Europe 2012 conference is being held September 26-28 at the Convention Center in Malmö. Throughout the conference, questions on health care’s environmental impact and sustainability are discussed. The TEM Foundation has chosen Suscito to create CleanMed Europe’s graphic profile, website and print presentation, as well as marketing materials.